Home Boating Safety	Red, Right, Return? Do you remember when you first learned to drive a car? Before you get your license, there is a handbook to study, various rules of the road to learn, tests to take. And if you miss one question too many, no license for you. Taking the helm of a boat is not so complicated. In fact, it might be too simple. It is not unusual to find someone sitting in the captain’s chair who doesn’t know the difference between port and starboard, bow and stern. But knowing a few common rules of the waterways not only helps a skipper feel more confident and competent at the helm, it is a matter of safety. Just as there are signs and markers along roadways for auto traffic, there are also signs along our waterways, such as buoys, markers and lights. For boaters, a few simple rules go a long way. 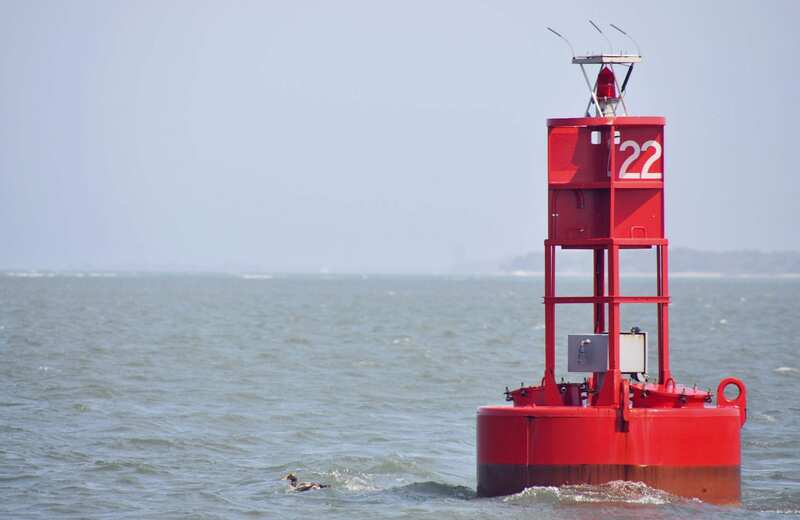 When it comes to identifying the safest route, markers and buoys are used to identify the location of the channel. The buoys are distinguished by two features. The red buoys and markers are pointed at the top and only use even numbers. The green buoys and markers are square and only use odd numbers. So, a boater has three ways to identify a marker or buoy: color, shape and number. Here is a good way to remember which side of a buoy or marker your boat should be on: When going from a larger body of water to a smaller one – typically “up river” and toward the source – a helpful reminder is: Red Right = Return. That means as you go from a larger river into a smaller one, all the red markers and buoys (which each have even numbers and are pointed at the top) should always be on your right (starboard). So, when going “up river” (returning toward the source) the green markers and buoys should be on your left (port). Conversely, when going in the other direction — from a smaller body of water to a larger one — remember: Green Right = Go. That means the green markers or buoys should be on your right, (starboard) side when heading out and the red markers should be on your left. As a side note, markers and buoys in the Intracoastal are similar to markers in other waterways except for one key difference. Each has a yellow reflective decal above the number on the marker. This is how you can distinguish that you are in the Intracoastal and not in any other waterway. Join Now… Water you waiting for?